Gene Cotaya knew that the City of New Orleans was poised for significant growth and development because of the unique mix that the culture and region has to offer. With that potential growth in mind, Gene Cotaya opened Fasteners, Inc in 1966. If the city was to grow bigger, better and busier he knew there needed to be companies available to support that growth. 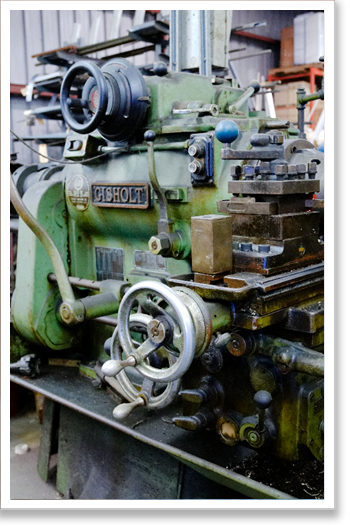 A distinct operation for its time, Fasteners was founded to meet the need of a booming construction industry. The size of the inventory that Fasteners holds in stock daily was unique then and still is today. The vast inventory is something the company continues to takes pride in. Originally located on Magazine Street in the Warehouse District in a historic brick building, Fasteners relocated to its current custom designed and built warehouse due to the 1984 New Orleans World’s Fair. Fasteners now sits between Orleans and Jefferson Parishes on Dakin Street between Jefferson Highway and River Road near the River Bend area of the city. As a family business for nearly 50 years, Fasteners is committed to the Greater New Orleans community. Now run by a second generation, the company is continuing to provide quality products at reasonable prices while providing the highest standards in customer service and satisfaction. The Fasteners team looks forward to continuing to be a part of the construction landscape of Louisiana.